Maker Bitluni wanted an electric scooter, but he lives in Germany, where electric vehicles of that type are illegal. Motor-assisted bicycles, however, are not. 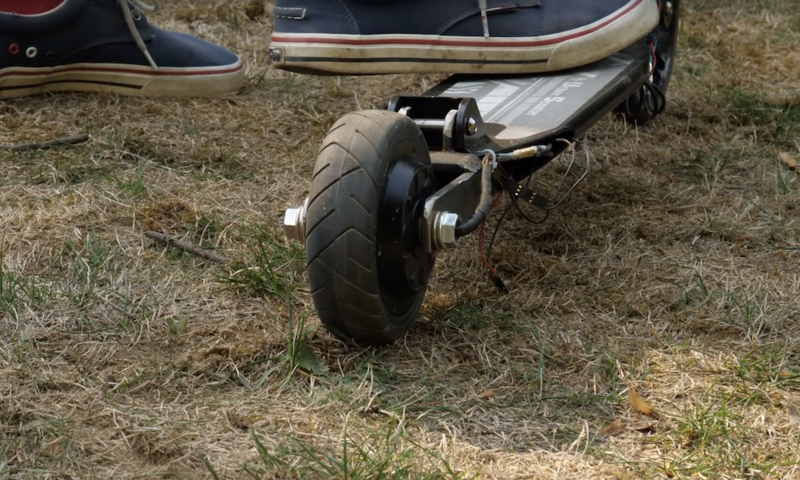 So he set to work making a sort of hybrid that is controlled not by a throttle directly, but provides assistance when the rider kicks the scooter forward. 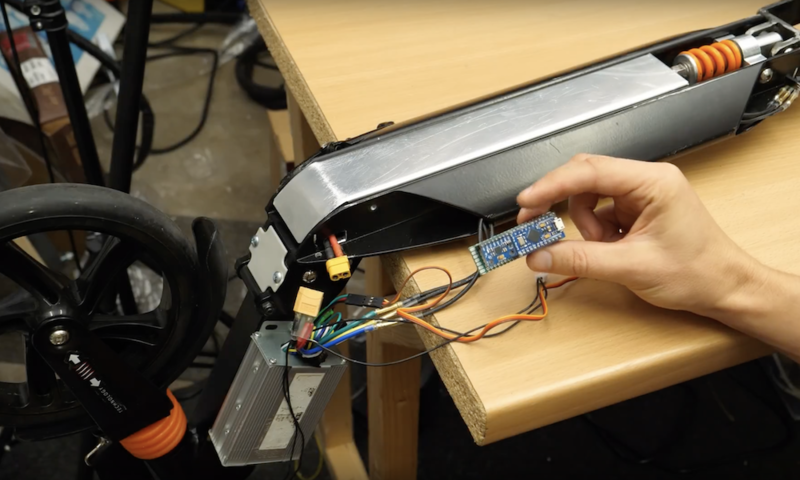 The scooter uses an accelerometer to sense forward pushes, along with an Arduino Micro that regulates speed via PWM output. A brake assembly is also implemented as a secondary input, starting up the device and powering it down as needed. Bitluni’s build and testing process can be seen in the videos below, and Arduino code is available on GitHub.